On March 11th in 2011, Northeastern part of Japan was hit by the mega-quake and tsunami, which took many precious lives of people living in the area. Their daily life has turned into chaos. The Fukushima Dai-ichi nuclear power plant fallout, which followed soon after has contaminated the large area of the same region, and is still spreading anxiety and suffering. At this critical moment, how did nursery teachers try to save lives of small children? Facing the aftermath of this disaster, what measures do we need to take on disaster prevention programs at nursery schools? 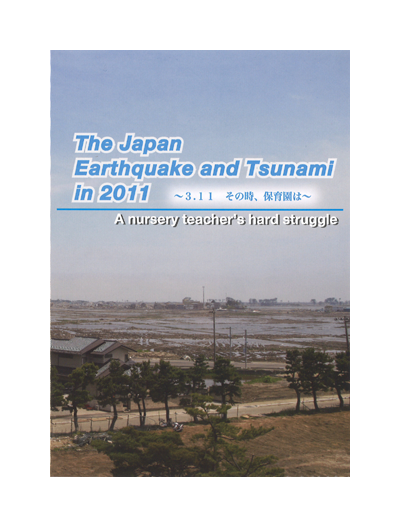 In this documentary, we have studied how each nursery handled the situations. We hope that this case study would be useful to emergency planning within childcare practice. This DVD is compiled under the supervision of Tamaji Amano, an associate professor at Japan Women's College of Physical Education.